Dramatic yet airy, edgy yet elegant, these modern industrial statement earrings are a study in contrasts. So lightweight you'll forget you're wearing them -- until the next compliment. Stainless steel hardware linked with titanium. Colorful heat patina finish. 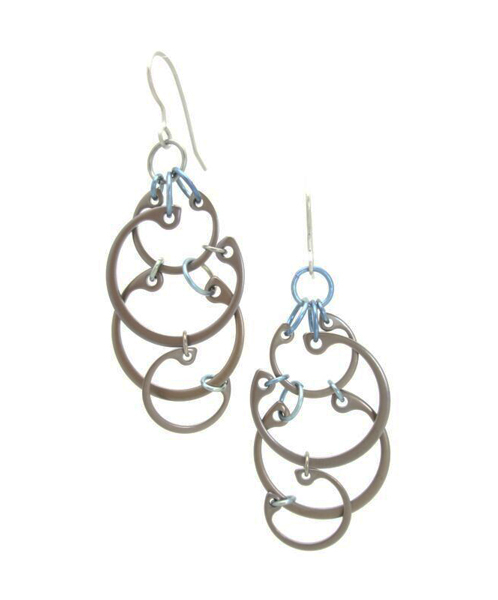 Hypoallergenic titanium ear wires; 2.25 inches long.